One figure is included, a soldier posed seated/riding on his bike. 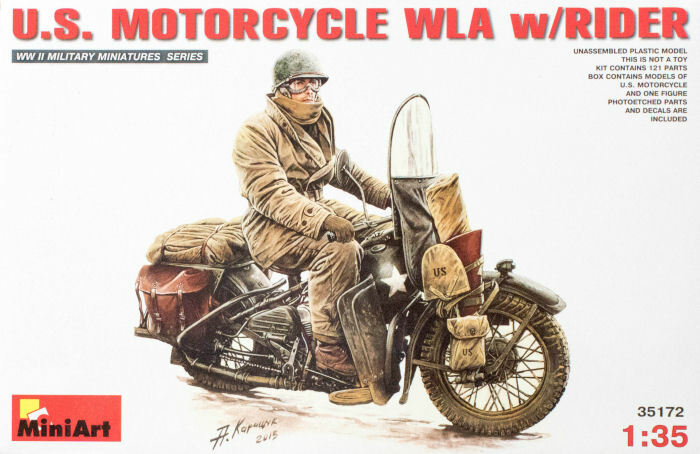 The rider is depicted wearing cold/wet weather gear and shows a protective cover over the stock of the Thompson sub-machinegun and a covered package on the rear rack. The part with the Thompson in the scabbard is included as with the other WLA releases, but you'll need to fabricate your own cover for the Thompson stock. The saddle bags are in this kit as with the previous WLA releases, but no covered package is included but this too is an easy item to fabricate out of folded tissue or whatever your favorite medium might be.